The demand for organic foods began with fruits and vegetables when there were reports of pesticide residues in them. However, the popularity of organic foods has now extended to food grains, pulses, tea, spices and even oilseeds. "Organic foods have gained popularity because people have become aware of their benefits. They contain no chemical pesticides and fertilizers and are grown naturally with manure or compost and only natural pesticides and insecticides are used," said Dr. Saurabh Arora, MD (Auriga research and Director at Arbro Pharmaceuticals) and Founder of Food Safety Helpline. "Children are more susceptible than adults to diseases caused by chemical pesticide residues in food and so parents prefer to give them organic foods. 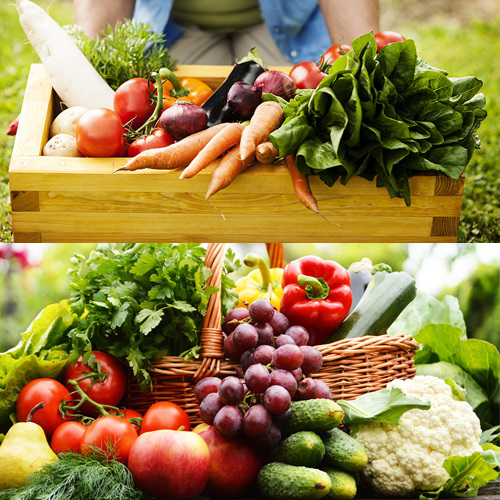 Another advantage is that organic foods do not contain growth hormones or antibiotic residues. Animals are often given growth hormones and antibiotics in animal feeds which are directly passed into animal foods like meat, poultry, fish, eggs, and dairy products and from foods to the consumers. In organic farming these practices are banned and animals feed outside in natural surroundings. Antibiotic containing foods consumed frequently makes these antibiotics ineffective in humans," he added.